Let’s find out. This new series explores the drivers, challenges, and payoffs you face, whether your analytical method is bound for the lab down the hall, or the lab halfway around the world. This installment: Organizations (and disorganization). Part three: Methods across borders. Global drugmaker GlaxoSmithKline’s contractor network numbers in the “hundreds,” according to the company’s former director of external supply (Stanton). As the average cost and specialization needed to bring a drug to market increases past the $2 billion mark, the number of partner organizations will increase as well. Meaning: If you’re an analytical or QC scientist, get ready for more method transfers between organizations. A recent article in Contract Pharma on analytical method transfer indicated that a vast majority of analytical transfer failures are caused by miscommunication or misinterpretation, including assumptions that the method has been validated for its intended use. Communication across sites is critical to the successful transfer as well as its ongoing robust operation. Not only is it important to share information on how to reproduce the method and result, but it is equally important to have timely stakeholder visibility and access to data supporting quality decisions. Lifecycle management also requires that routine QC data be evaluated for trends and identify areas for improvement, therefore sponsors are responsible for the continuous process monitoring described in ICH Q10. Large companies may be well-equipped to keep their testing in-house, but many companies can’t maintain a large QC lab, or the diversity of testing capabilities their most innovative products require. In a May 2017 survey, 44% of pharmaceutical industry respondents said their companies planned to increase outsourcing this year, compared to last year. Among respondents from contract suppliers, 66% indicated they expected more companies to outsource this year over last (William Reed). 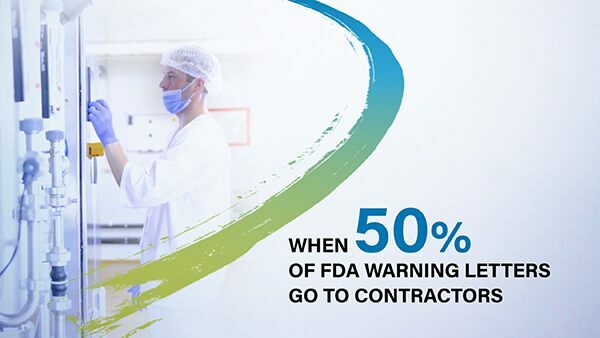 And despite a trend towards consolidation among contractors, drug makers continue to seek out niche contractors offering specialized skills. In the same industry survey, 69% said that smaller, niche CROs provide specialized services that they need. After cost, specialization services proved the most sought-after capability in a contractor. Partnering across organizations has some unexpected benefits as well. An analysis by Deloitte found a three-fold increase in the probability of success for drugs developed following an open collaborative model that shares ideas, knowledge, and skills across partner organizations. Method transfer challenges between organizations – even those in the same country – are similar in some ways to transfers between different countries. Like countries, organizations can have their own distinct culture, and those cultures can influence operating procedures. Along with a different corporate culture, a contract organization may have invested in a different vendor’s chromatography platform than the sponsor’s development lab. From a technology perspective, this means the two teams – originating lab and contract lab – will need to transfer methods between different LC instrument manufacturer’s systems (here’s an example transfer for a small molecule, and another). From an expertise perspective, the contract group may have enough familiarity to transfer the method, but lack the deep knowledge to troubleshoot it later. The contract organization might have more current technology and want to update the method, as in this example for a monoclonal antibody (mAb). In such cases, maintaining close contact with the originating lab is essential. Even internally, a lab’s place in an organization can affect method transfer. Transfer from the development lab to the QA/QC lab entails handing off the protocol to new staff. At the least, this puts a premium on method robustness and ease-of-use. It may also mean moving the method from more-flexible analytical equipment, optimized for development, to simpler but more robust systems for high-throughput routine analyses. Whether working with contract labs or across company divisions, your methods will come up against variability in equipment and staff performance. Along with having a robust method, your ability to communicate will prove invaluable in bridging the gaps that may sometimes occur between organizations. Now that we’ve covered technologies and organizations, let’s go global. Next installment: method transfer across borders. Visit waters.com/methodtransfer for ideas on how to approach change. on method transfer directly in your inbox? Part 1: What’s Changing Analytical Method Transfer Today? Deloitte. 2017 Global Life Sciences Outlook: Thriving in Today’s Uncertain Market. Swartz ME and Krull I. Analytical Method Transfer. LCGC North America. 1 Nov 2006, 24(11):1204–1214. Stanton, Dan. For big pharma, ten is the magic number of CMOs says ex-GSK Director. Outsourcing Pharma. June 2014. Westmoreland KE. Lab Outsourcing: What You Need to Know. Food Safety. Jan 2015. William Reed. Survey Report: State of the Global Pharmaceutical Contract Services Industry 2017. Outsourcing-pharma.com. 27 Jul 2017.